YEREVAN. 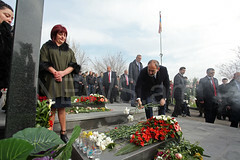 – An investigation into the March 1 events is in full swing, head of Armenia’s Special Investigation Service Sasun Khachatryan told reporters on Saturday. “The investigation is being conducted in every day mode. 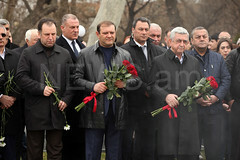 We will make this public when necessary,” Khachatryan said. 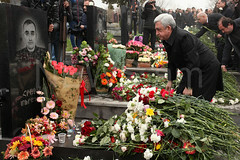 Asked whether ex-president Serzh Sargsyan was questioned, the head of Special Investigation Service said: “From now on I will not answer the questions concerning those whom we have questioned or are going to”. Ten people, among them two servicemen, were killed in clashed between the authorities and police on March 1, 2008. No one has been held accountable for ten deaths so far.